Paul Rudolph (* Nov. 14th 1858 in Kahla, Thuringia; † March 8th 1935 in Nuremberg) was a German scientist and optician. 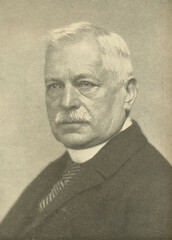 He was employee of Carl Zeiss when he created the first anastigmatic lens which was introduced in 1889 as Zeiss Anastigmat (later sold as Protar). 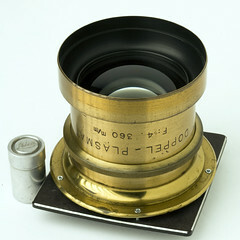 Rudolph also developed the Planar, a lens with nearly uncurved focal plane, and the most-copied popular advanced still camera lens design Tessar. He retired early but was forced to re-enter business after loosing his capital thru inflation. In 1920 he was hired by Meyer where he finished his development of the highly color-corrected Plasmat lens which had a higher correction of spherical aberration than Goerz' famous Dagor. 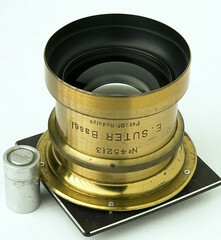 It was introduced as convertible lens with lens speed 1:4.5; the cine lens versions like the Kino Plasmat 1:1,5/16 were the fastest lenses of the mid-1920s. In 1933 Plasmat company in Berlin launched the Roland small format rangefinder camera with Plasmat 1:2.7/70. In 1935 the company became the Kamerabau-Gesellschaft Rudolph & Co. This page was last edited on 17 May 2012, at 22:55.